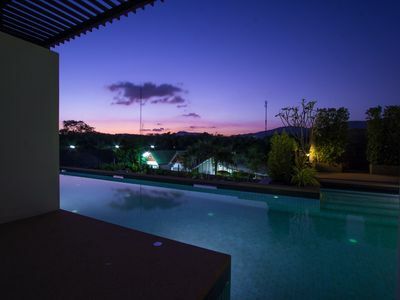 If you like minimalist style villas built with natural materials, this 3-bedroom rental might be the right pick for you. 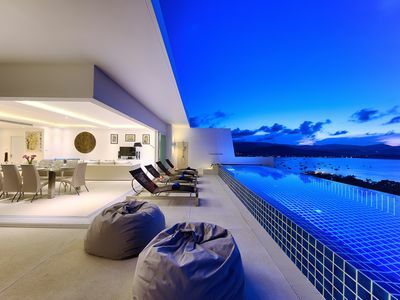 It offers green views thanks to its raised hillside location in Kathu, a district set between historic Phuket Town and popular Patong. 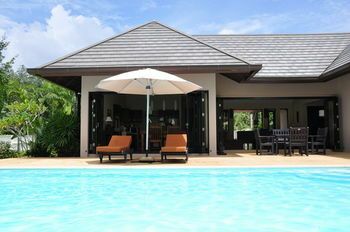 The villa has 3 bedrooms with king size beds and en suite bathrooms, accommodating up to 6 guests. The bedrooms are sizable and air-conditioned, with blackout curtains for undisturbed sleep. The villa’s common areas include an open plan lounge with a dining area and kitchen, plus a private balcony. The kitchen is of western standard and fully fitted for self-catering. It includes dishware, cooking utensils, and appliances such as a microwave, kettle, toaster, coffee maker, stove and a fridge. The complex the villa is set in has two communal pools, and the villa has direct access to one of them. Moreover, you can stay fit at the resort’s gym, and take advantage of additional extra charge services such as motorbike and car rentals, day trips, massages, and more. Daily maid service, safe parking and Wi-Fi are included in the price. The resort is a great option for friends and families sharing their holiday since various 1-, 2- 3- and 4-bedroom rentals are available. The location allows for a fun-filled family vacation. 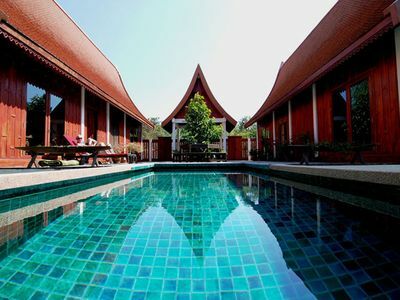 The villa is a 5-minute drive away from Kathu Waterfall and Red Mountain Golf Course. 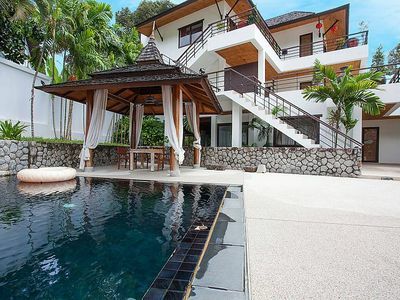 Old Phuket Town is about 11 km away while Patong Beach is 7 km away from the villa.